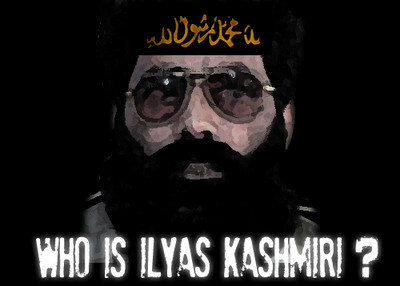 Top Al Qaeda commander Ilyas Kashmiri poses a major threat to U.S. interests both at home and abroad. Described by intelligence agencies "as the most effective, dangerous and successful guerrilla leader in the world," Kashmiri heads Al Qaeda's military operations wing. He figures prominently in two recent high-profile terrorism indictments issued in Chicago. But Kashmiri remains free in South Asia and in control of a renowned Al Qaeda terror cell called the 313 Brigade, in large part due to support from rogue elements tied to the Pakistani military and intelligence services. In January, a superseding indictment added Kashmiri, Abdur Rehman Hashim Syed, a retired major in the Pakistani military, and Tahawuur Rana, a Canadian citizen and native of Pakistan, to charges filed earlier against Chicago resident David Coleman Headley for his role in the November 2008 Mumbai terror attacks. The attacks killed 166 people at Mumbai's train station, the Taj Mahal hotel and a Jewish center. The case also alleges Headley was part of a plot to attack the Danish newspaper Jyllands-Posten and to support the Pakistan-based terrorist group, Lashkar-e-Taiba. A former major in the Pakistani Army, Abdur Rehman played a pivotal role in facilitating meetings between Headley and Kashmiri to solicit the latter's support in the Jyllands-Posten plot. A separate and unrelated complaint in March charged Pakistan-born Chicago cab driver Raja Lahrasib Khan with providing material support to Al Qaeda by attempting to send money to the terrorist group. Khan allegedly had a long-term relationship with Kashmiri and sent money to Kashmiri through an associate in Pakistan. Kashmiri has also been named in a charge sheet filed by the Pakistani police in relation to the November 2008 murder of Amir Faisal Alvi, a retired Major General in the Pakistani Army. General Alvi was a commanding officer of the Pakistan Army's elite Special Services Group (SSG) and was killed in retaliation for his role in fighting Taliban fighters in Pakistan's tribal areas. Kashmiri purportedly acted on orders from the Taliban leadership in North Waziristan. Another former Pakistani Army officer, Major Haroon Ashiq, also known as Abu Khattab, was implicated in the attack. Kashmiri reportedly paid Haroon Pakistani 125,000 rupees (approximately $1,460) to carry out the attack. Haroon's younger brother, known only as Captain Khurram, and who served in the army's SSG forces also quit the army and "joined hands" with Kashmiri. A former commando in the Pakistani military's Special Services Group, Kashmiri's shift to present-day jihadist reinforces the historic alliance between Islamist groups and Pakistan's military and intelligence services. Hailing from the Kotli district of Pakistan-administered Kashmir (also known as Azad Kashmir or "Free Kashmir"), Kashmiri was tasked by the Pakistani Army with training Afghan Mujahideen to fight the Soviets in the mid-1980s. Soon after the Russian withdrawal from Afghanistan, he was asked by the Pakistani Army to work with Kashmiri fighters to wage a low-intensity proxy war against rival India. That led to his joining the terrorist outfit Harkat ul-Jihad al-Islami, or HuJI ("Movement of Islamic Holy War") then headed by Qari Saifullah Akhtar, a key associate of Taliban chief Mullah Omar. While HuJI's initial focus was on waging jihad against symbols of the Indian government in the disputed Himalayan region of Kashmir, it has widened its target base to include Pakistani government institutions as well as U.S. and Western interests in the region. Kashmiri, for instance, is widely suspected to be behind the suicide bomb attack on a top secret CIA base in the eastern Afghan province of Khost in December that killed at least eight Americans. Following differences with Akhtar, Kashmiri set up the 313 Brigade within HuJI. It is reported to be an operational arm of Al Qaeda and has carried out deadly terrorist strikes in the subcontinent. In retaliation for alleged civilian killings in Kashmir by the Indian armed forces, Kashmiri reportedly undertook a guerilla operation with blessings from the Pakistani military that went into Indian-controlled Kashmir. It included the kidnapping of a wounded Indian Army officer. Later, he presented the dead officer's head to high-level Pakistani Army officials and was later compensated by then-Army Chief General Pervez Musharraf with a cash award of 100,000 Pakistani rupees (approximately $1,170). Kashmiri fell out of favor with the Pakistani Army following the creation of the Jaish-e-Mohammed (JeM) in 2000, a state-sponsored terrorist group established to unite Kashmir with Pakistan. Things took a turn for the worse for Kashmiri's group following the 9/11 attacks when then-President Musharraf, under American pressure, clamped down on several Pakistani terrorist groups, including HuJI. Kashmiri was arrested by Pakistani authorities in 2003 for his involvement in two thwarted assassination attempts on President Musharraf, but later released due to a lack of evidence. Others believe Kashmiri's release resulted from pressure from the United Jihad Council, a conglomeration of several Kashmiri-focused groups. The Headley indictment charged Kashmiri with conspiracy to attack the offices of the Danish newspaper Jyllands-Posten and kill two of its employees - an editor and cartoonist. The newspaper had published cartoons of the Prophet Mohammad in September 2005 that led to violent protests across the Muslim world. Headley, who has admitted to scouting targets for the deadly Mumbai terrorist strike in November 2008, also traveled to Denmark in January 2009 to conduct surveillance of Jyllands-Posten offices in Copenhagen and Aarhus. Following the visit to Denmark, Headley went to Pakistan and met with Kashmiri. According to the indictment, the meeting was facilitated by Abdur Rehman Hashim Syed, a retired major in the Pakistani military and another co-defendant in the case. At the meeting, prosecutors allege, Kashmiri said he had reviewed the surveillance videos Headley made and suggested using a truck bomb for the operation. He also promised to provide manpower. The planned attack on the Danish newspaper was put on hold following increased security in the aftermath of the Mumbai terror attacks. Headley was arrested at the O'Hare International Airport in Chicago, while on his way to Pakistan to deliver 13 surveillance videos of Jyllands Posten offices to Kashmiri and Syed. Chicago cab driver Raja Lahrasib Khan was charged with attempting to funnel money to Al Qaeda in Pakistan. The affidavit in his criminal complaint claimed Khan had close ties with Kashmiri and had known the Al Qaeda leader for about 15 years. Khan knew that Kashmiri worked for Al Qaeda and received orders from the group's leader, Osama bin Laden, the complaint said. Kashmiri allegedly told Khan that he was interested in training operatives and needed money to buy materials from the "black market" to execute terrorist attacks in the United States. Last November, Khan wired $950 to an associate in Pakistan and instructed him to give 25,000 Pakistani rupees (approximately $290) to "Lala," a code name for Kashmiri, meaning "older brother" in Urdu. a. On February 4, 2010, an undercover informant and a second unnamed individual met with Khan at a restaurant in Chicago. During the meeting, Khan acknowledged that he had met with Kashmiri several times in Pakistan: "So many times, not even once, so many times." In a subsequent meeting later that month, Khan confided to the undercover informant: "Honest to God, if I don't get married in Pakistan I would be with Illyas Kashmiri the rest of my life." The complaint also alleged that in March, Khan and an unnamed individual discussed bombing a U.S. stadium and suggested asking "Lala" (Kashmiri) how to conduct such an attack. It is unclear whether Khan discussed his plot to attack a U.S. stadium with Kashmiri. Kashmiri and Bin Laden: Victims of the Same Tyrant? "We're both victims of the same tyrant. Today, the entire Muslim world is sick of Americans and that's why they are agreeing with Sheikh Osama. If all the Muslim world is asked to elect their leader, their choice could be either [Taliban leader] Mullah Omar or Sheikh Osama." Kashmiri is a prime example of the growing collaboration between Al Qaeda, the Taliban, and Kashmir-focused groups in Pakistan and the lawless tribal region bordering Afghanistan. The collaboration has bolstered Al Qaeda's ability to launch large-scale attacks against the U.S. and its allies in the region and abroad. Pakistan's inconsistent policy toward terror poses a key impediment to U.S. efforts in the region and even to the stated vision of Pakistan's civilian leaders. Terrorists such as Kashmiri continue to bank on the sympathies of rogue elements tied to the Pakistani military and intelligence services for their continued survival. Pakistan's civilian government wants to dismantle the terrorist infrastructure there. In an October 2004 interview soon after assuming office, Prime Minister Syed Gillani said: "India has never been a threat to Pakistan." Pakistan's democratically elected prime minister went on to portray the Kashmiri jihadists as "terrorists." Thus, state institutions having the "real power," namely the Pakistani Army and intelligence services, must blur the distinction between "terrorists" (a term applied to Al Qaeda and other foreign fighters) and "freedom fighters" (a reference to Kashmiri extremist groups), and clamp down on terrorist groups across the board that threaten regional and international security. Until that happens terrorists such as Kashmiri will continue to operate unfettered on Pakistani soil. As these devil worshipers of religious hate spew out the poisonous hate in all areas of the world,for the picture is very clear, its the rumbling of the Devils Volcano and its affects us world wide. As we pour more and more funds to combat these threats of slaughter of are peoples, it keeps the minds of those of Security & intelligence for the Nations welfare occupied day and night. But this is only the tremor's, hold tight for the Volcano has yet to erupt. Remember when we were Lads many years ago;Boy scouts we did play, the Baden Power way. Be Prepared!.at all times was the Motto of the day.